Choosing the right color for your home is a big decision. 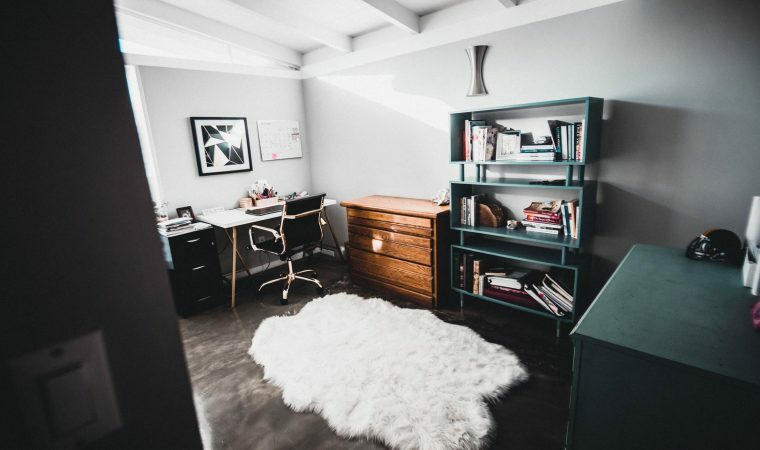 You do not want to go through the hassle of selecting a shade, finding a painter, buying paint, and having spaces tarped off for a day or two only to be disappointed with the results. Before you read more about finding painters to apply your chosen color, learn some designer tips to select the right color for your home. One of the first things to do when choosing the color for your home is to think about the layout. Specifically, keep in mind which rooms you can see from other rooms. If you are able to see the living room from the kitchen, for example, you do not want them to be colors that clash with each other. Keep factors like visibility in mind as you plan colors for each room in your house. When it comes time to actually choose the colors for each room in your house, start off with the biggest space or where you spend the most time. In many cases, this will be the living room, kitchen, or den, but that may not be the case in your house. This will be the room where color is the most important, so it is the one you want to get right. After choosing the color for this main space, move onto the other rooms that you can see from that one and slowly expand until you have chosen all of the colors. As you select the specific colors, keep the following in mind. A good rule of thumb when selecting the color to paint your house is to go with a neutral shade. You do not have to but this will give you the most flexibility in the future. Neutral shades should work even if you decide to change your décor in the future. They can also eliminate the need to repaint if you plan on selling your house in the future. Remember that there are exceptions to this rule. Going bold may make sense if everything else in the space is neutral, such as in a bathroom with white cabinets, a white toilet, and a white bathtub. If you want your home to be mostly neutral but do not want it to get too boring, consider mostly neutral colors but with an accent wall in key rooms. This pop of vivid color can add a contemporary feeling that helps make space stand out. A good idea for an accent wall is to simply use a darker shade of the color you use on the other walls. Or if you want to be more dramatic, you can choose a different complementary color. In the past, the only place to get inspiration for painting your home was in magazines, but the internet has dramatically expanded the options. Now, you can look online and find more inspiration than you know what to do with. Scroll through home décor store websites, Pinterest, designer blogs and galleries, and even real estate listings to see if anything stands out to you. You never know where you may find inspiration. While some people like to choose the paint color and then select furniture, most designers feel that the opposite is a better option. This is particularly helpful when you just want to repaint a few rooms of your home but do not plan on buying new furniture. Opt for a color that will complement all of the furniture in your room. Hopefully, it will contrast slightly for visual appeal, but still, seem within the same general color palette. For this piece of advice, consider artwork just like you would with furniture, but make it a higher priority. After all, the artwork will go right against your chosen paint color. While you do not need to paint every room in your home the same color, it is best if they sit within the same color palette or color scheme. One example of a color scheme would be to paint the dining room’s walls the accent colors in the living room. Consider painting different rooms varying shades of the same color. The exception to color schemes tends to be kids’ bedrooms and playrooms. Once you have a general idea of what type of paint color you want for your home, go ahead and get some paint chips. Hold them up in various spots in the rooms, including against furniture and artwork you have hanging on the wall. If you think you found a color you like, paint a test swatch. As you evaluate the testers, ask yourself whether you would be able to live with the color for years to come. This is the absolute best way to confirm that you do indeed like the color you chose. Most professional painters will be more than happy to paint a few test swatches for you or to cover up the swatches you painted. As you plan on the paint for your home, do not forget to consider the finish as well. Flat or matte paint has no shine and is great for lower traffic areas like the bedroom or living room. Flat enamel is simpler to clean but also without shine, making it great for those with pets or kids. Eggshell enamel has a small amount of shine and is ideal in areas with moderate traffic. Satin enamel has more shine, and it does well in areas with moisture or high traffic. Semi-gloss enamel is shiny without being glass-like and is best for trim or cabinets. Hi-gloss enamel is shiny and delivers that glass-like finish. You do not want to use it on walls; stick to it on furniture or railings. Once you have chosen the appropriate shade or shades for your home, read more so you can select the right painter so you can enjoy professional results.